While it sounds straight out of a Sci-Fi novel, Kevin Strange (CEO and cofounder) and his cofounder, Viravuth Yin, along with another researcher, Michael Zasloff, have identified a certain molecule (it’s called MSI-1436) that has demonstrated regenerative properties in the laboratory, first in zebrafish and then in mice. The goal now is to lead this drug candidate through clinical trials in large mammals and then, hopefully, demonstrate that it can help humans regenerate heart muscle tissue following a heart attack. Together they launched Novo Biosciences. Despite his confidence in the research results so far, Strange is careful not to oversell the company’s potential and its drug candidate. 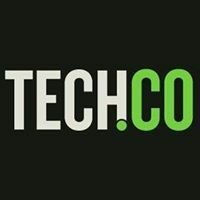 There are still many hurdles in front of them, not least of which is the need to raise massive amounts of money from investors. Leading a drug through clinical trials could cost as much as $30 million, he says, and the failure rate in drug development is incredibly high. But the payoff if it does work could be massive. Besides the honor of coming up with a drug that could help people survive cardiovascular disease, the number one killer in the world, such a drug would generate billions of dollars a year in revenue. In this Founder Forum interview, Strange goes deep into the financial risks of drug development, how Maine could better incentivize technology transfer from academic institutions, the lack of resources in the state to support biomedical entrepreneurs, and how perception about the state has hurt his chances to raise investment. 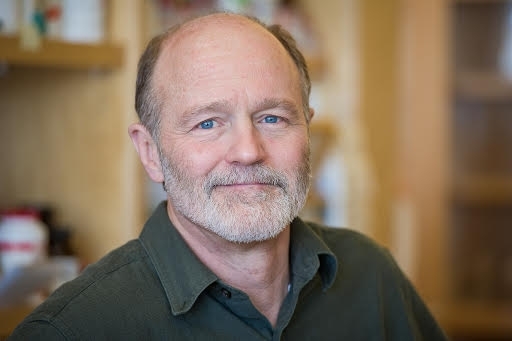 The changes Strange made when he took the reins at MDI Biological Laboratory led directly to the spinning off of Novo Biosciences and the recently launched the Maine Center for Biomedical Innovation, which serves as an incubator for biomedical startups. What led to the discovery of your company? I would argue that the MDI Biological Laboratory is a startup—it just happens to be 120 years old. But certainly where it was eight years ago versus where it is today is very different, and that’s actually what led to this discovery. I also don’t equate entrepreneurialism with for-profit entities. I think it’s people who takes risks and go out and start something new that in particular might be disruptive, against the grain, or different from what is the status quo. But it is the first for-profit entity that I’ve started. It was basically a seasonal marine research station until the year 2000. At the time there were only nine employees here and none of them were scientists, none of them were faculty. Their sole job was to open the place up in May, run it for visitors from out of state through the summer months, close it down in September, and keep it from falling down in the winter. But in 2001, and it was largely driven by money, the decision was made to create a full-time research institution here. The model of a seasonal research institution certainly wasn’t viable any longer. It grew in an ad hoc way until 2009 when I came in and I put a very, very strong research focus in place, which it didn’t have before. That is what led to this discovery. That research focus is in the field of regenerative biology and medicine. We have taken a decidedly very different approach to this field than what was mainstream. I’m sure you’ve heard about stem cells—this had been the focus of regenerative medicine. The idea that you can simply inject patients with these special type of cells and they’ll fix whatever ails the patient. This is something I’ve always been very skeptical of, in part because there’s not a lot of good, strong science backing this idea. So when I came here I decided to move the institution into the field of regenerative medicine, but take a very different tack. The approach we’ve taken is, if you look across all kinds of animals in nature, there are many animals that have profound capacity to repair and replace tissue after it’s been damaged or amputated. They have this remarkable capacity. If they lose a limb, they grow it right back. If their spinal cord is severed, they heal it right up just fine. If their brain is damaged, they repair it without question. If there’s any sort of heart damage, whether we do it experimentally to them or it happens naturally, they repair that quite readily. So the approach we have here is to look at these animals, study them intensely, and ask a very basic question: How do these animals accomplish this amazing feat and why is it, for the most part, that most of our tissue—our heart, our spinal cord, our brain, for example—don’t regenerate after an injury? To date, it’s the first and only drug that’s ever been shown to stimulate regeneration of the mammalian heart. If you were to have a heart attack today and you survive it, the part of your heart that was damaged by loss of blood flow would turn into non-functional scar tissue and that’s something you’ll have to deal with the rest of your life. It can lead to more heart attacks and eventually lead to heart failure. So, again, the idea was study these animals, ask how they do it, define these mechanisms in detail, and then let’s try to understand why most of our tissue doesn’t do that very well. And we then go from there to develop drugs to treat these kinds of injuries that might turn on this regenerative capacity. That was pretty much a crackpot idea eight years ago, but in less than four years we made the discovery of a drug that launched Novo Biosciences. We launched the Maine Center for Biomedical Innovation just a few months ago, which is meant to be a hub and accelerator in the state for the commercialization of biomedical discoveries. We have lots of entrepreneurship training for science students, scientists, folks who are launching biotech types of startup companies. We also provide incubator space here on campus. I have five companies that are incubating on our campus, including two from out of state. One from New York and one from Pennsylvania. We’ve done a lot from that perspective in just trying encourage and stimulate this type of activity. Basically we’ve created it to help drive this activity without a government mandate, without a massive amount of resources. It’s really going to create a focal point in the state for what the state can and should be doing to try to help grow this kind of activity. What we do in the Maine Center is provide incubator space to companies, and it’s more than just a rental. A lot of people think an incubator is just a place where you can rent some space. We’re providing them with an enormous amount of expertise, scientists, scientific expertise, very costly scientific infrastructure, networks of people. I can’t tell you how often some of these folks will come to me for help solving a particular problem. So we’re providing them the resources they need to get their companies off the ground. We’ve provided a lot of entrepreneurship training for science students in this state, and a lot of those courses not only focus on the basics of what does it take to launch and get a company growing, but how do you think across disciplinary boundaries, how do you communicate with someone in a different discipline to launch new ideas and go out and do disruptive things in the world. We provide that same kind of training for the startup companies that are here, as well as scientists. And as we have more successes, we start to lobby more, advocate more, and get out in front of this at every possible level. The number of people I have knocking on my door now compared to a year ago is at least a hundred fold more and that’s because of talking about this, working with our senators, our state reps, people are starting to make those connections and make things start to happen now. I’ve actually turned companies away because we don’t have the space for them. But, again, it’s a long-term commitment; it’s not a fast turnaround by any means. 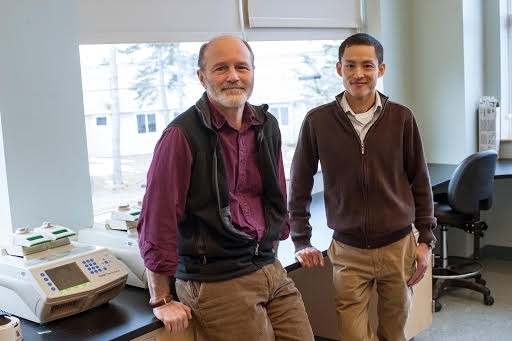 Kevin Strange and Viravuth Yin, cofounders of Novo Biosciences in Bar Harbor. What have been the challenges since launching? First of all, I knew nothing about it when I started. I learned everything the hard way. Fortunately, I’ve always said I’m at least smart enough to know what I don’t know, so I’ve managed to not make any disastrous mistakes yet. But it’s hard work. We just received our first patent on this molecule last November. It’s the first patent application and first patent in this institution’s 120-year history. I knew nothing about the patent process, and learning about it took an enormous amount of time, effort, and frustration, not to mention some money to get this thing patented. So there’s a big startup curve. We all have finite bandwidth, so you start doing something else, something else goes. It’s cost me my scientific career largely to do not just Novo, but the entire institution. So it’s hard work, it’s highly risky. We couldn’t be in a riskier business than drug development. I’ve heard that people who invest in drug development are viewed as fairly delusional. And the outcome is binary: You either lose everything or you make huge amounts of money. The cons are the risk, the time commitment, hopefully not making any big mistakes that get you sent to jail or get you sued. Talk about the perception of investors in Maine. There are two things we’re running into. One is that investors keep telling us we’re too early, they want to see it work in humans first. Ok (chuckle), that’s again, going to take millions of dollars. The other thing is I do think we suffer from perception up here. I mean I spent a number of years at Harvard Medical School and I am quite certain that had I spun this out of Harvard or a Boston institution, I would have plenty of money and investors by now. Up here in Maine, particularly in Down East Maine, this is something that buckles convention here, and I think people look at it very skeptically. How can those guys up there in the middle of nowhere find something like this? So I think there’s a perception issue here. And there’s also a realistic one, too. If you’re an investor with X amount of money to put down in a risky endeavor, are you going to put it down on a little place you’ve probably never heard of on Mount Desert Island or Harvard Medical School? Obviously, you’d probably go with Harvard Medical School if your first instinct is to go where you think the money is safer. You’re not sitting in this big robust biotechnology, biomedical research community. It doesn’t exist in Maine. There are pieces of it everywhere, but they’re spread out over 35,000 square miles. I think people perceive less risk if you’re in Boston. Although I’ve seen things invested in down there that just shocked me to death. People who literally have nothing but an idea and they get millions of dollars to pursue the idea, whereas we have a patent, phenomenal data, etc., etc. There’s a herd mentality here too when it comes to investing sometimes.